Traumatic Brain Injury Attorney / Lawyer — H.Q. Nguyen, Esq. We are a trial firm. This means we do not take every case that comes through our doors. We are extremely selective about who we represent. And so compared to other firms, we have a smaller number of cases. This is for the benefit of the client since it allows us more time and resources to devote to each case. We think of each case as if it will go to trial and reach a verdict. This means that the preparation of each case is to ensure that we are able to prove the case to the jury. Should we settle a case, it is only at or near the time of trial. Our commitment to our clients is to do everything possible to achieve the highest possible result. Time and time again, we have proven our ability to achieve the highest possible result for our clients. For example,we took over a case from a prior attorney. At the time we took over the case, the highest authority to settle the case was $250,000.00. Within 2 years after we took over the case, we were able to increase the settlement authority to twenty (20) times what it was when the prior attorney handled the case. Due to our preparation of the case for trial, we were able to achieve a settlement of $5,000,000.00. According to the National Institute of Neurological Disorders and Stroke, Interagency Head Injury Task Force Report, more than 2,000,000 people sustain a Traumatic Brain Injury (TBI) annually in the United States alone. Traumatic Brain Injury (TBI) is often referred to as the "silent epidemic." Traumatic Brain Injury (TBI) often occurs as a result of an accident, whether it be due to a motor vehicle accident or from falling types of accidents. Traumatic Brain Injury (TBI) can go undetected for years. Our firm has seen accident cases where Traumatic Brain Injuries (TBIs) are undetected due to a lack of medical investigation. We have been referred cases where the client suffered Traumatic Brain Injury (TBI), yet there was a failure to make a claim on behalf of the client due to a lack of understanding and expertise in Traumatic Brain Injury (TBI). We believe that this failure to recognize Traumatic Brain Injury (TBI) occurs quite often in both the legal and medical community. In having represented numerous Traumatic Brain Injury (TBI) matters, our firm has seen cases where the Traumatic Brain Injury (TBI) is often undiagnosed by the treaters in the emergency room on the date of the accident as well as primary care physicians who see the patient in the days or weeks following the accident. We believe that the failure to diagnose Traumatic Brain Injury (TBI) is widespread for a multitude of reasons. That is why it is important to be represented by an attorney who understands the causes and symptoms of Traumatic Brain Injury (TBI) as well as having experience in handling cases with clients who have suffered Traumatic Brain Injury (TBI) as a result of an accident. 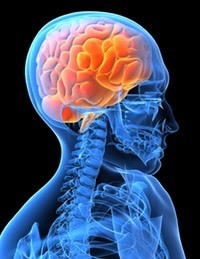 Our firm has a deep understanding of how Traumatic Brain Injury (TBI) can be caused in connection with injuries to the spine. In our experience, we have often seen that Traumatic Brain Injury (TBI) is related with an injury to the spine. Due to our firm's expertise in prosecuting personal injury cases involving Traumatic Brain Injury (TBI) and spinal injuries to the neck and back, we have recovered millions of dollars for our clients. Our firm works with medical experts to investigate Traumatic Brain Injury (TBI) as well as spinal injuries to the neck and back so that we can prove the injury at the time of trial. We are unique in that we work closely with neuro-radiologists, neuro-psychiatrists, neuro-psychologists and neuro-surgeons in an effort to maximize our ability to prove Traumatic Brain Injury (TBI) and spinal injuries to the neck and back. We realize that often, due to insurance and worker compensation bureaucracies and denials, the patient does not get the proper treatment or tests in order to diagnose Traumatic Brain Injury (TBI) or spinal injuries to the neck and back. We have developed a reputation in the personal injury legal community as well as the medical community as the firm with expertise in Traumatic Brain Injury (TBI) and spinal injury to the neck and back.